Buy 1 Get 1 Personal Training Special and chance to meet the trainers on May 5 at J-Fit Fiesta. Learn more! 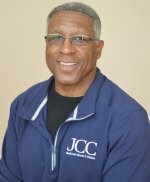 Moe comes to the JCC with an impressive 25 years in the fitness industry. 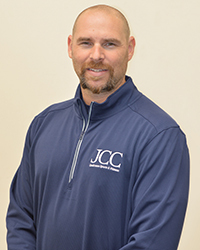 He has worked with a varied and diverse population, with clients ranging from six to 86, professional, collegiate, and high school athletes, as well as clients with physical or developmental challenges or special needs. As a WeckMethod Master trainer specializing in Rotational Movement & Tensional Balance Training, Moe helps clients improve body mechanics, increase functional strength, and enhance athletic balance, all of which create a better athletic foundation for movement and performance. Marzena has dedicated her life to sports and fitness and has extensive professional training in the field. In her work with those suffering from arthritis, fibromyalgia, Parkinson’s disease, heart disease, osteoporosis, knee and hip replacements, or those needing muscle and joint rehabilitation, Marzena helps her clients gain strength, reduce pain, and make noticeable improvement in overall health and well-being. She has accomplished considerable success with clients wishing to make dramatic changes to their bodies as well as those training for a specific event. 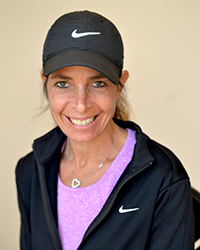 She combines her knowledge of sports, exercise physiology, kinesiology and nutrition to motivate and guide clients to their fitness goals and have fun while doing it. Lauren is a Certified Personal Trainer and Olympic Weightlifting Coach. In addition to her admiration of sports performance and athleticism, she believes exercise and proper nutrition aid in disease prevention and longevity. Lauren has worked with a diverse client base of athletes, weight loss clients, active duty military and seniors recovering from injury. 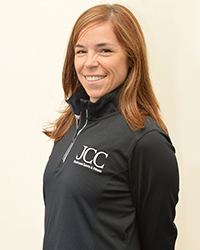 As a Weightlifting Coach she has an in-depth understanding of strength training and athletic power production. She implements mobility and balance training with every client. 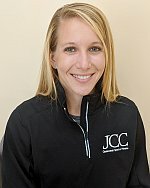 Giving special care and attention to injuries or areas of pain, Lauren does her best to alleviate discomfort. 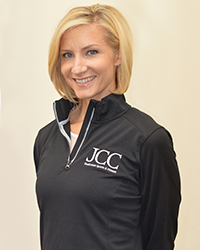 Her desire is to improve her client’s confidence and overall health through movement. Nathan Poole has worked as a strength coach and personal trainer for over 30 years. His vast experience in the fitness industry has given him the opportunity to work not only with professional athletes, but also with budding amateur athletes. 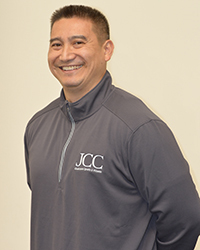 His passion for youth, sports and fitness has led him to devlop training and conditioning summer camps for young athletes looking to excel in their particular sport. Nathan started and has continued his career working with those of all ages and fitness levels. The most important benefit that Nathan provides his clients is a holistic approach to achieving a healthy mind, body and spirit that foster a sense of wellbeing. Mike has worked in the fitness industry as a Personal Trainer for more than 20 years. He has extensive experience working with post-rehab, senior adults, and the military. Mike is also a Registered Holistic Health Practitioner specializing in mobility training and Sports Massage Therapy. He believes that a team effort between client and trainer is necessary to achieve fitness goals. Mike can assist with building a solid training foundation and tailoring a fitness program based on the client’s needs. His approach to success is one that values the client’s goals and a commitment to meeting them. Susan’s focus on functional training began when she was a trainer at UCLA’s physical therapy offices. Working alongside the therapists, she saw how bringing the body into balance not only prevents and corrects injuries, but can radically improve energy and overall wellness. She uses a system of training that examines balance, mobility and strength. Susan is an expert in orthopedic issues and has extensive experience in post-injury training. 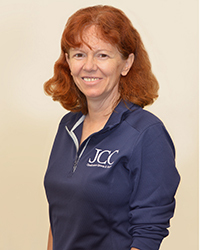 Susan’s experience includes work at a medical fitness center, where she created a sports performance program, ran the fitness portion of a weight reduction clinic, and worked closely with a pain management doctor to assist those with back pain. Rebecca has been helping people of all ages transform their bodies and increase their energy since 2003. She is attentive to detail and alignment while creating feel-good movement. She loves assisting clients in recognizing their fitness potential and achieving their goals. Elements of yoga, Pilates, dance, and martial arts supplement current and traditional training methods in her programs. Her clients range from teens to seniors. Rebecca’s passion is in helping clients increase energy, strength, body awareness, balance and coordination. She is available for personal and small group training as well as private and small group yoga sessions.